Arranging a funeral can be a daunting prospect, made harder by the fact that you are grieving for the loss of a loved one. 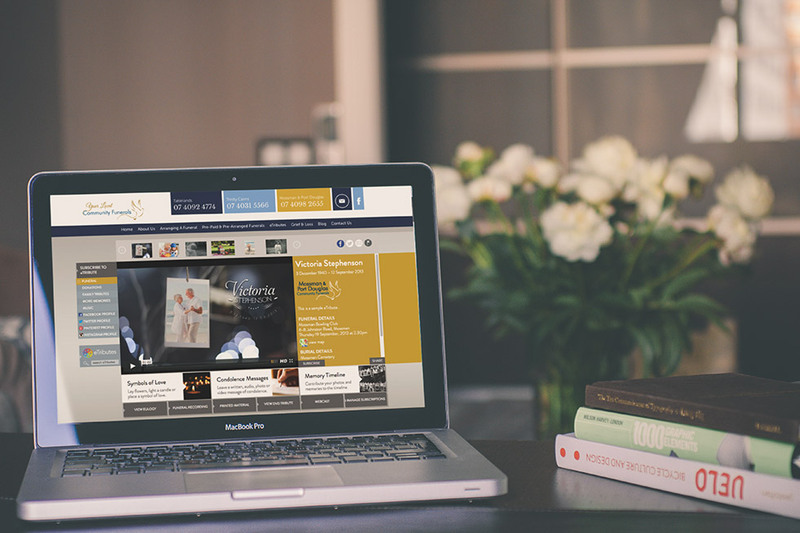 To help with the process, we thoroughly recommend you look through the Arranging A Funeral section on our website, which is split into three easy to understand categories. 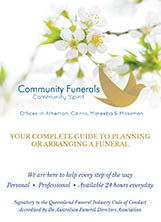 Alternatively, downloading our Arranging A Funeral Guide Book will provide you with all the necessary information you will need, and as always, we will be with you every step of the way. Have a question regarding arranging a funeral? Call us on 07 4031 5566 and we will help. There are always many questions you may have when organising a funeral, and some of them are difficult to ask. Our Frequently Asked Questions Booklet provides many of these answers, as well as answers to questions you may not have thought of. Download the Booklet by clicking the button below. Have a question not specified in the booklet? 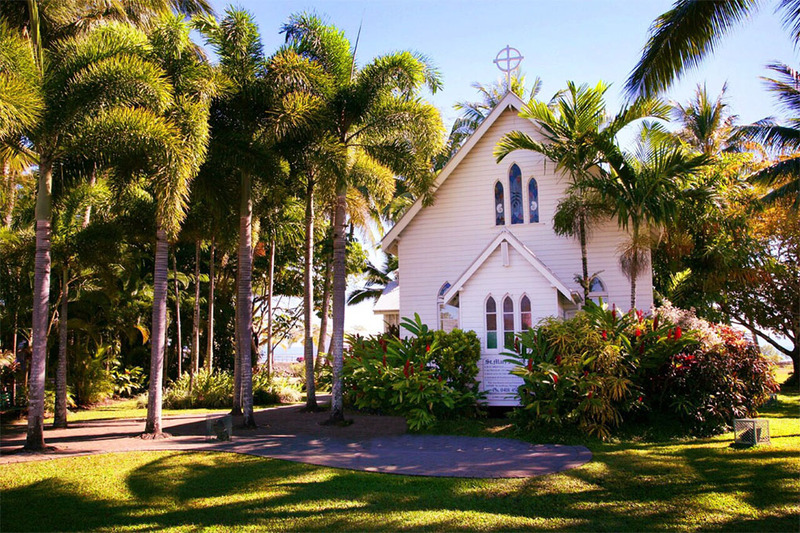 A Pre-Paid and Pre-Arranged Funerals are slightly different; a Pre-Arranged Funeral is one where the family and Funeral Planner establish and document the funeral requisites and services which they may utilise in the future, whereas a Pre-Paid Funeral the funeral is paid for now at today’s prices, for provision at a future date. To find out more, click on the button below. Have a question regarding pre-paid or pre-arranged funerals? Call us on 1300 781 084 and we will help. Using our online form, you can send us photos, music and documents for your loved one’s eTribute, printed materials, DVD Tribute, canvas, framed photo and funeral service. To view the form, click on the link below. Have a question regarding the uploading of files? 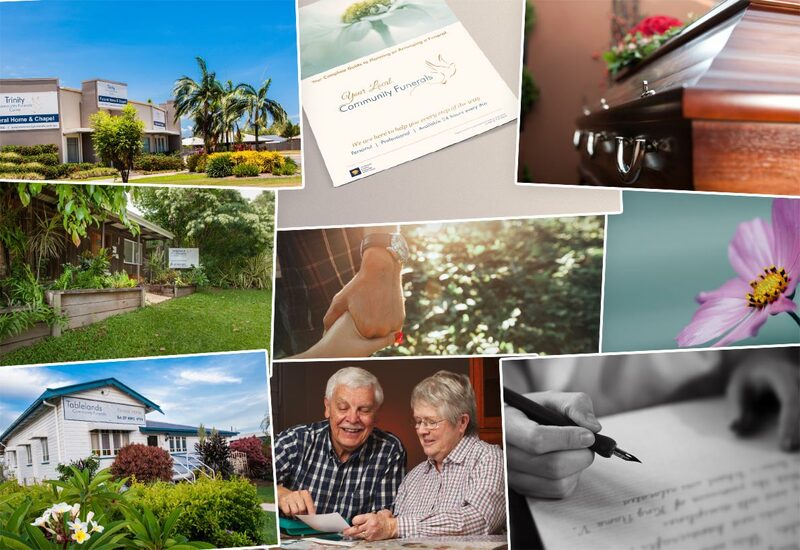 Covering all aspects from immediately after a death has occurred to what to do after the funeral, these booklets provides a handy guide on what can be expected, and how to best organise the celebration of a loved one’s life. Have a question regarding our information booklets? Have a question regarding our coffins or urns? 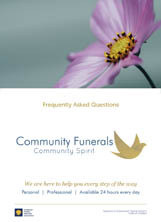 Covering all aspects from immediately after the death has occured to what to do after the funeral, this booklet provides a handy guide on what can be expected, and how to best organise the celebration of a loved one’s life. Containing all of our most frequently asked questions, this booklet answers your questions clearly. 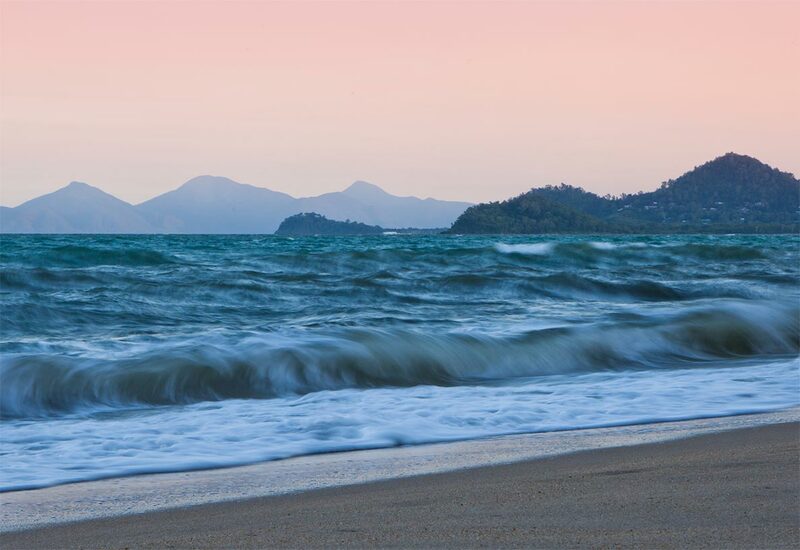 Upload your Photos, Files and music. Complete your legal forms online. Every staff member is committed to making this difficult experience as easy for you as possible.